Our March employee in the spotlight, Ismael Castanon, has been part of our Orange County moving company for two decades. As a valuable part of the Alex Moving & Storage family, Ismael continues to flourish. Ismael Castanon began his journey with Alex Moving and Storage in the summer of 1998. He started in the moving industry as a mover and packer. Then he became a driver for local moves. He did that for a couple of years before moving on to a big step. Ismael’s eagerness to learn and be better in life helped him take advantage of many opportunities which led him to start working inside the office as dispatch. Ismael would not have been where he is now without the help of Karen Lewis, manager of Alex Moving and Storage in Van Nuys. The manager at that time taught him all the clerical work she would do and more. After a few weeks, Ismael was already covering for her as the manager’s assistant while she was on vacation. Every day Ismael shows his appreciation and is thankful for the opportunity he got to start working behind a desk. His willingness to learn and his fast learning skills has helped him grow throughout the years. Ismael has been part of Alex Moving and Storage for almost 20 years now and continues to show his dedication in the company. Ismael was laid off due to hard circumstances a few years ago, but then the company realized they had made a mistake and brought him back. 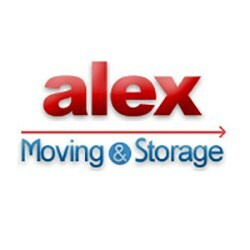 Alex Moving and Storage knew he would be able to accomplish more, and he did. Now, Ismael plays an important role in the company and shows why he is still here on a daily basis. Ismael is very reliable and is always willing to learn to do better in his work area. He is accountable for all interstate drivers and shows such responsibility towards his job. Besides being dispatch for interstate moves, doing paperwork, rating, and finding trips for his drivers, Ismael can also help in other areas whenever he is needed. Thanks to all the knowledge he has acquired, he can provide excellent customer service and he can ensure efficient and exceptional service for you. As your professional Orange County movers, Alex Moving & Storage is happy to support your local, long distance and international relocation with the full scope of our resources and expertise, including all the good Ismael does for our company and valued customers.